This is one piece of an awesome cymbal. 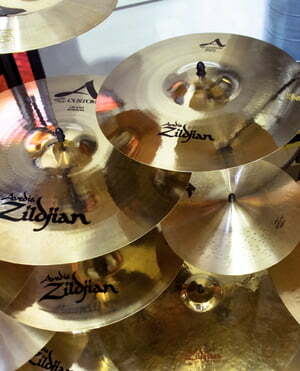 I love Zildjian cymbals! 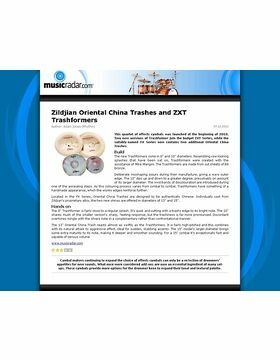 This is my 2nd Zildjian china aftr the first one got cracked after using it many years. I love the trashy sound of it. Good sustain after hitting it! 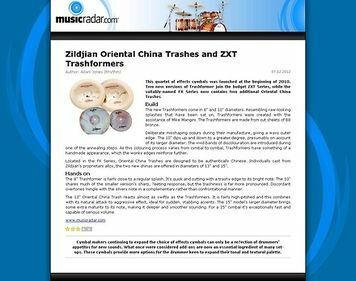 this china is, in my opinion, the figurehead of the zildjian china basin - this part can be used in every set-up and also in every style. the basin has a trashy sound as already mentioned in the name, which swells quickly and provides unmistakable effects - especially as an accent, which itself should drown out a neat crash carpet. In addition, the pool has a great volume level, while the one or the other musicians already times evil eye in the face conjures, but also provides for "ooh" effects in the audience and played discreetly always a good figure - then with beautiful warm, smoky tones. and if you lock the china up a bit tighter on the cymbal stand, you also have control over the decay behavior - but I let the part swing out nicely, on the one hand, because I play rather loud music, on the other hand because a swinging cymbal sounds better and lasts longer. where we are also perhaps the only "weakness" of the oriental series: the pools are very thin, so who crashes so much & that with the corresponding hard gang, could eventually get acquainted with cracks - my first 18-inch china trash held 5 years and serves since then in the second-proberaum as Effektbecken - and even with a 5cm crack, the part still sounds like horny, because cheaper series are far from ran! 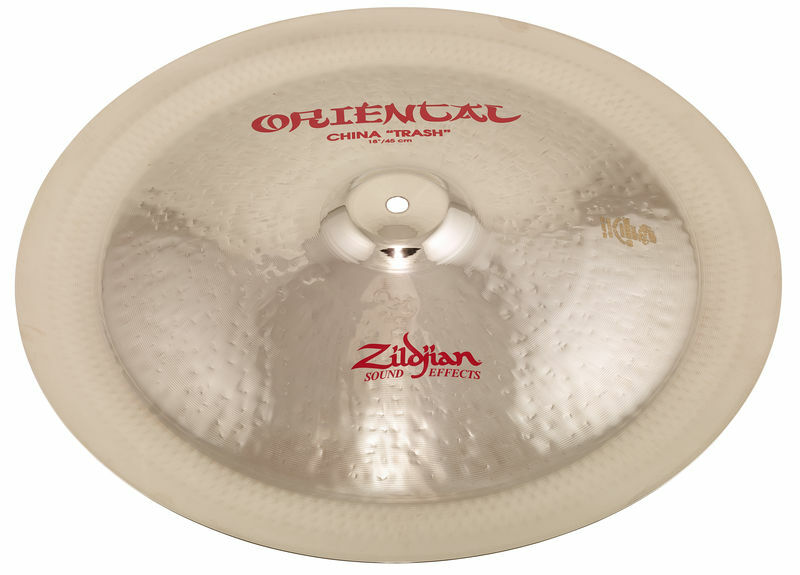 in combination with the 16er counterpart and the (unfortunately no longer available) trash hats, this china is my all-time favorite of the zildjian oriental series! ID: 136913 © 1996–2019 Thomann GmbH Thomann loves you, because you rock!